About this time last year, Pep Guardiola announced that he was leaving Bayern Munich to manage Manchester City. Not surprisingly, Manuel Pellegrini wasn't a bit happy with that. It was a stupid thing for Guardiola to do and he made some half-hearted effort to repair damage which could not be fixed. The impact on a management colleague was dreadful, no matter the motivation in making his announcement. Pellegrini, about as lame a duck as any manager has ever been for the second half of the season, saw his authority in the dressing room destroyed in just a few indiscrete sentences. The moral of the story is obvious. When a big name manager announces that he is moving on, a rare enough event, it can have all sorts of unforeseen consequences. Alex Ferguson fumbled badly when he tried to declare a date when he would retire and regretted it because he changed his mind. Once he placed doubt in his players' minds though, he lost some of the total authority he worked so hard to gain. He did recover from that and go again but it was a close run thing. Very few managers ever win that position for themselves and Guardiola is also one who has been in a position to plot his own management course. He makes the calls and chooses where he works. I'm not sure Luis Enrique's call to quit Barcelona is entirely his own, however. Things are not good at the Nou Camp and I think he has lost the support of key players like Messi and Neymar. But whatever the reason, his early declaration will have a domino effect which will spread out in ripples from Enrique all over Europe and wash up in the most unlikely places. In this case, Wayne Rooney, of all people, could be a big loser from the growing story surrounding Barcelona. 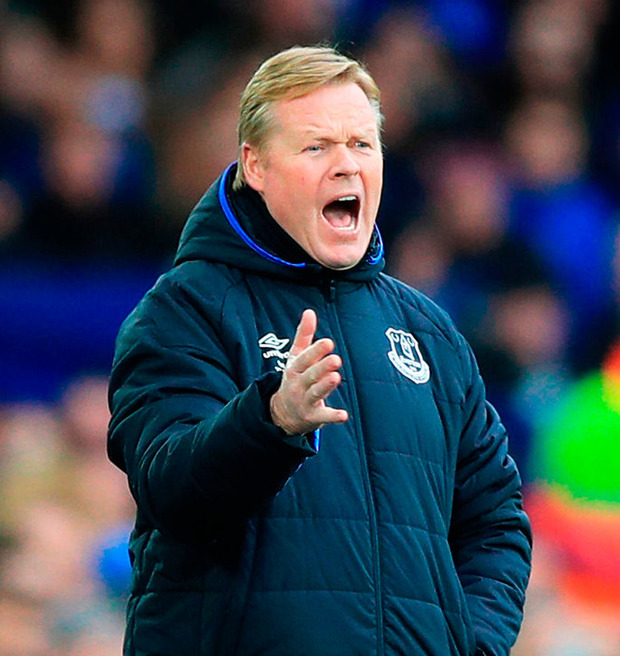 Everything about Ronald Koeman tells me that he could handle the Barcelona job and it is no surprise to me that he is the subject of intense speculation about his credentials to take over from Enrique. He is, after all, part of the family and it has always seemed to me that Barcelona look after their own very well and like to appoint from within. I think he is a very good manager. So good that Rooney has been considering a move back to Everton for the final chapter of his career. That, for me, is a perfect match. Everton is probably the only club where Rooney has even half a chance of getting back to something like he used to be. He would be welcomed with open arms by fans and I think he could have two or three very productive years there working with Koeman. Now, of course, there's a decent chance that Koeman will be moving on and in those circumstances, would Rooney want to sail into the unknown? Definitely not. Rooney will know whether Barcelona want the Koeman and if they do, I have no doubt that they have already spoken with him. As I said, Barcelona is a family and Koeman would have his contacts and supporters within the club. I'm sure he talks to them and that the conversation is a continuous one. He will know by now if there is any prospect of him receiving an offer he cannot refuse. I've seen plenty of names tossed around for the Barcelona job and Koeman may not end up at the Nou Camp this time around but the impact on his final few months at Everton will be the same and anything but positive. Everton players like Séamus Coleman who have responded very well to Koeman after a tricky enough start will now be wondering whether he will be with them next season. It's altogether very unsatisfactory situation for everyone apart from Barcelona. They have taken this step in the club's interests and they don't really care about what happens anywhere else. It's a pity. All the old unspoken agreements between players, managers and clubs are falling by the wayside and self-interest is now valued above all else.